1. 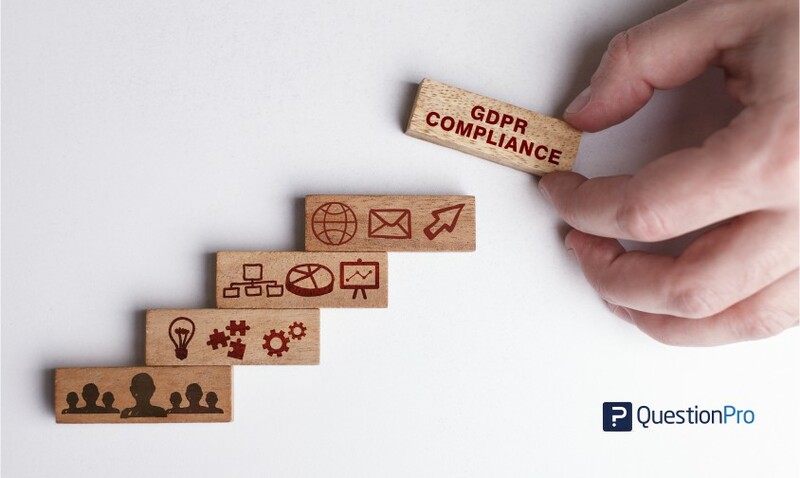 GPDR Compliance Settings: The General Data Protection Regulation (GDPR) regulation will enter into effect in the European Union on May 25th, and it will have a fundamental impact on how organizations treat data from individuals in compliance with the new privacy laws. 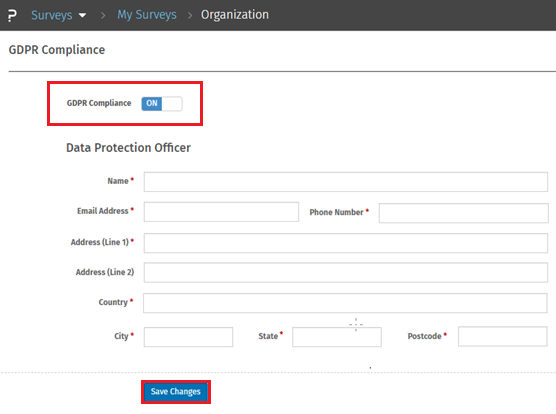 QuestionPro has made it easy to apply your organization’s GPDR settings to get you ready ahead of the compliance date. After enabling the compliance, the user will need to enter contact details for their Data Protection Officer (DPO). All sections may be edited for language and legal requirements. Select Lead Supervisory Authority within the EU nation of your choice and save changes. 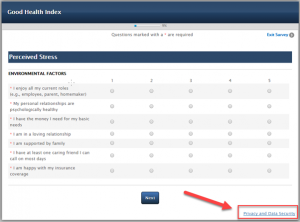 When a respondent views the survey, the survey footer will have a link to Privacy & Data Security. The privacy and data security footer link will include all of the updated relevant details noted in the steps above. Right to be forgotten: Accessing the privacy and data security link, users can request to view survey results and ask for their information to be removed from the survey and profile level. 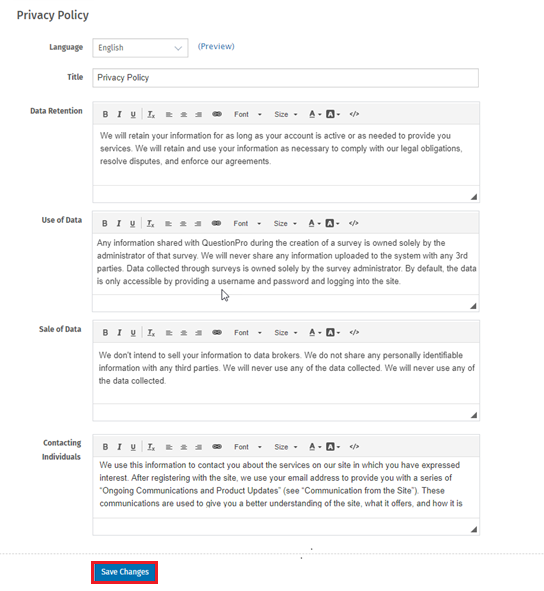 In compliance with GDPR regulations, QuestionPro will honor respondent requests and remove their data from surveys and notify survey administrators of changes made. To learn more about GDPR compliance, click here for more details. 2. 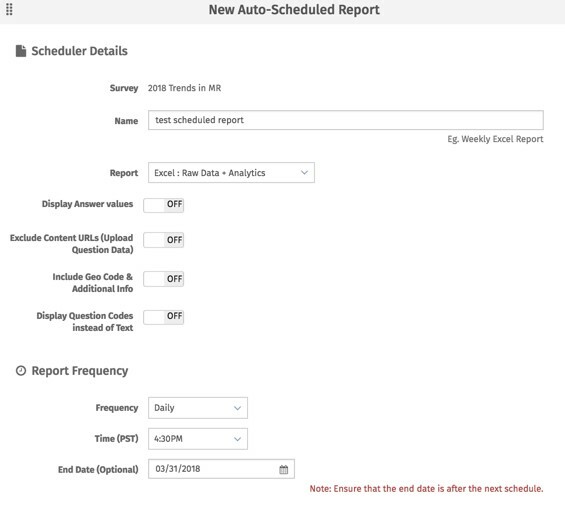 Customizable date and time settings are now available for automated report Delivery & reminder emails. 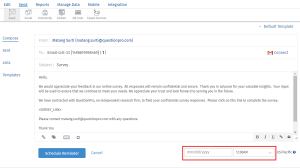 Survey administrators can now customize the date and time of delivery for automated reports and email reminders. Add custom date and time to your liking and save changes. Surveys >> Send >> Sent >> Click on ‘Send Reminder’ for the list you wish to send a reminder to. Schedule date and time, and save all changes before exiting page. To learn more about scheduling reports and email reminders on QuestionPro, click here. Why should you use a GDPR Compliant Survey Platform? Why Businesses need to Create GDPR Online Survey? How to create GDPR compliant surveys? 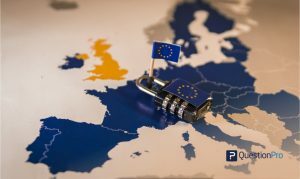 Is GDPR Data Collection Regulation Applicable to your Business?